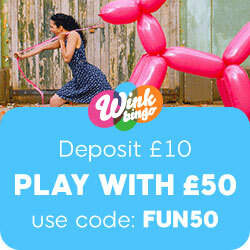 Tombola Bingo have run a free game for their members to participate in for some time now and their latest free offering is giving away lottery syndicate tickets. However, unlike some of their other free offerings, you need to play at their site each day to bag the maximum 7 free syndicate lottery tickets. This is a free game from Tombola Bingo, but to gain entry into the lottery syndicate it is based on your spend each day at their online bingo site. To get a free syndicate lottery ticket you need to spend through at least £1 (in real cash funds) on any of their games. So if you spent at least £1 for seven days you would end up with 7 free lottery syndicate tickets for Saturday’s lottery draw. The syndicate tickets are shared between a maximum of 10 Tombola Bingo players and they will share any winnings from the syndicate tickets. For instance if your syndicate lottery ticket line landed the £10 3 ball prize, the £10 prize would be paid out to the 10 syndicate members in the form of bonus cash and they would all get £1 each……….all other lottery wins however would be paid to you in real cash funds, but as the lottery is all about chance (just like bingo) it could be quite hard to win anything at all. So although this is a free offering from Tombola Bingo, you are not guaranteed to win anything, but on the other hand you could scoop a massive lottery jackpot prize as well, just be prepared to share it! There seems to be mixed views about the new free lottery syndicate game by Tombola Bingo players, which is not that surprising seen as the other free games at their site did seem to be more beneficial (not in the terms of what you could win, but gaining entry to play them). The new lottery syndicate game from Tombola Bingo is obviously designed to reward their regular and loyal online bingo players. To get your free lottery ticket roomies, you must also click on the (lottery syndicate) game once you have spent through the £1 in real cash funds, as your ticket is not generated automatically. This entry was posted in Bingo Blog and tagged Tombola Bingo on January 17, 2011 by Emma.